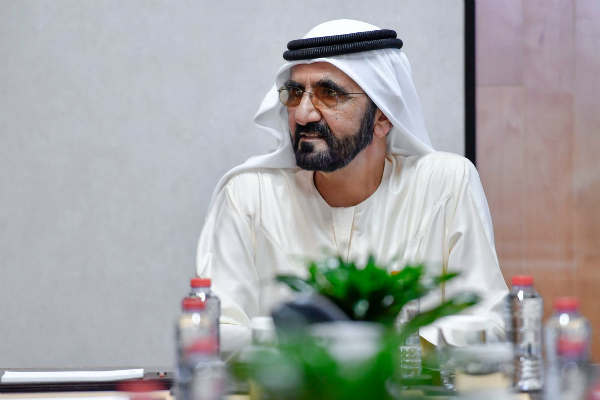 A new committee for tolerance has been set up by Sheikh Mohammed bin Rashid Al Maktoum, the UAE’s Vice President and Prime Minister and Dubai’s ruler in line with the country’s plan to observe 2019 as the ‘Year of Tolerance’. The committee will be chaired by Sheikh Abdullah bin Zayed Al Nahyan, minister of Foreign Affairs and International Cooperation, and will include ministers and representatives from UAE civil society organisations as its members. Ministerial members include: Sheikh Nahyan bin Mubarak Al Nahyan, minister of Tolerance; Noura bint Mohammed Al Kaabi, minister of Culture and Knowledge Development; Nasser bin Thani Al Hamli, minister of Human Resources and Emiratisation; Hessa Essa Buhumaid, minister of Community Development; Jameela Al Muheiri, minister of State for Public Education, Dr. Sultan bin Ahmad Sultan Al Jaber, minister of State and chairman of the National Media Council; Ohoud bint Khalfan Al Roumi, minister of State for Happiness and Wellbeing; Shamma bint Suhail Faris Al Mazrui, minister of State for Youth Affairs; and Zaki Nusseibeh, minister of State. The committee will also comprise of Dr Ali Rashid Al Nuaimi, chairman of the World Council of Muslim Communities; Dr. Ali bin Tamim, director-general of Abu Dhabi Media Company; Dr. Hamad Al Sheikh Ahmed Al Shaibani, managing director of the International Institute for Tolerance; Dr. Sultan Faisal Al Rumaithi, secretary-general of the Muslim Council of Elders; Yasser Hareb, Emirati writer and media personality; Sunny Varkey, founder of GEMS Education and Varkey Foundation; Isobel Abulhoul, CEO and trustee of the Emirates Literature Foundation, and Dr. Najat Makki, Emirati conceptual artist, along with representatives from executive boards within the country.